The game that's causing the most "controversy" is a super violent Wii game, who'd of thought! 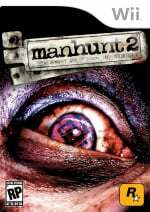 Even though some people may consider Manhunt 2 to be only a game, it unfortunately perpetuates and reinforces cruel, inaccurate perceptions that people who live with mental illness are violent," blasted Mike Fitzpatrick, executive director of NAMI. Fair point, but lets face it.. there are plenty of films and games that portray stereotypes on a particular race or creed, nothing new there.. I don't see people complaining about those. Next up was a article by "Common Sense Media" in the US who wanted all parents to boycott the game completely. Research suggests that nearly 60 percent of kids play M-rated games on a regular basis. And data from the Federal Trade Commission shows that underage kids can purchase M-rated games more than four out of ten times. Before “Manhunt 2” hits shelves on Halloween, Common Sense wants to make sure that parents know this game is NOT okay for kids. Again correct, the game isn't okay for kids.. that's why its got a M rating. But surely its upto society to enforce this rating, not that of Rockstar. We have the same problem over here in the UK, the BBFC will rate a game then rouge employees at shops like GAME and Gamestation will sell these games to the under-age kids... Rockstar's fault? I think not. Anyway, we've got our copy of the game so we'll be giving it a honest, impartial, non-political review this week. pa ha ha, i got slammed on ABC's late night news w. charles gibson (US) for being overly violent.